Hooked on Needles: Do you recognize this crazy quilt block? A few months ago, I was cruising through the many fabulous crafty websites that I follow, and I ran across someone who had made this crazy pink, white and black quilt block and had decided not to use it. She said the first person who emailed her saying they wanted it could have it. I thought it was pretty cool looking, so I emailed her and she sent it to me. Wasn't that awfully nice? I thought so! I usually keep emails of this sort so I can follow up, and I keep envelopes with addresses too, but for some reason, I can find neither for this very generous person. I have used the block and wanted to show her what I made with it and see if she wanted it, but I cannot find her! I searched through every site that I follow, going back as far as possible in each one, reading through the posts to see if I could find the one where she offered this block, but to no avail. So if you recognize this block as yours, please comment or email me with your site address so I can remember who you are and thank you for it. 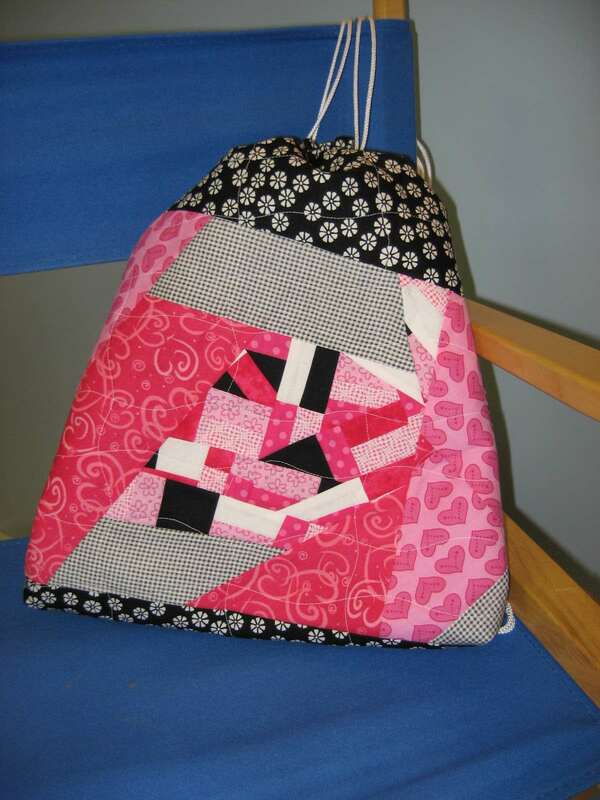 I used the black, white and pink crazy quilt block as the front of a cinch sack, using leftover black and white fabrics from the pin cushion bag I made for my sister for the rest of the outside and for the inside lining and pockets. And from the front again. Don't you love it? 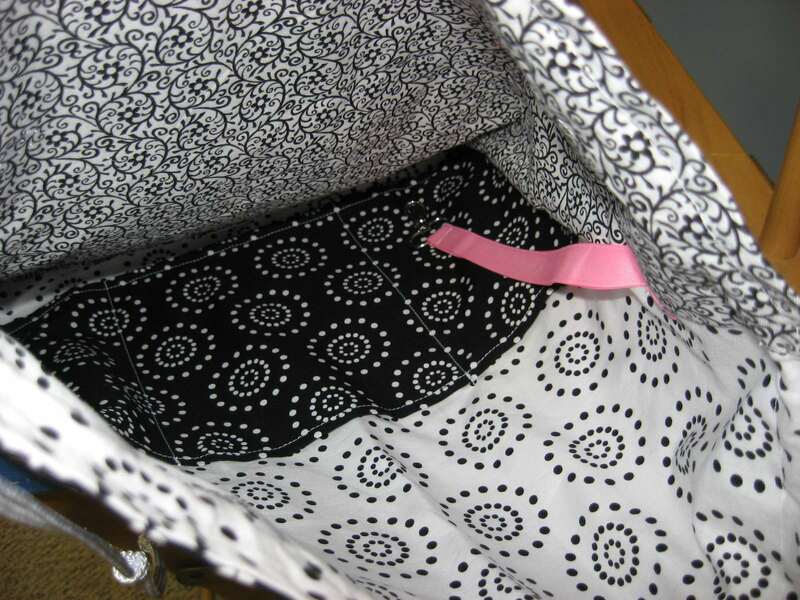 And here is the inside with three pockets and a strap with a swivel hook to keep keys on. 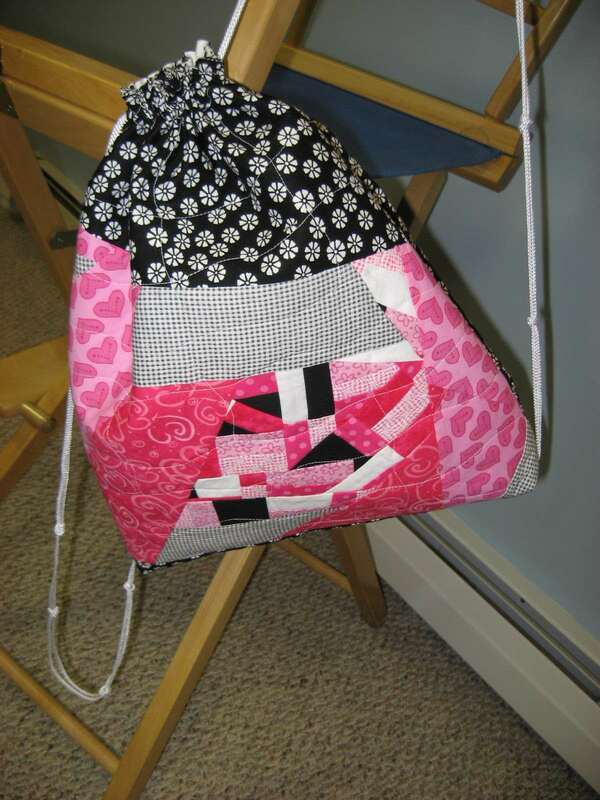 The way I made this bag was a modified version of the pattern I wrote for Susie's Quilted Cinch Sack, but it still used only about a yard of fabric altogether. So are you the one who made that crazy quilt block? If so, I'd love to hear from you! 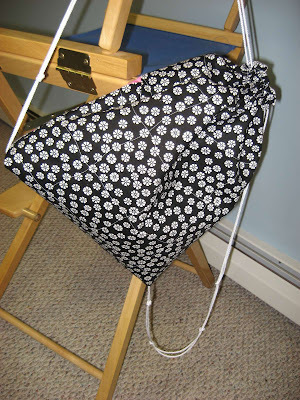 If you would use this bag or would like to have it, I'd love to send it to you. Otherwise I will be adding it to my Etsy store. A girl can only use one bag at a time, right? And as much as I love them, I am starting to run out of space! 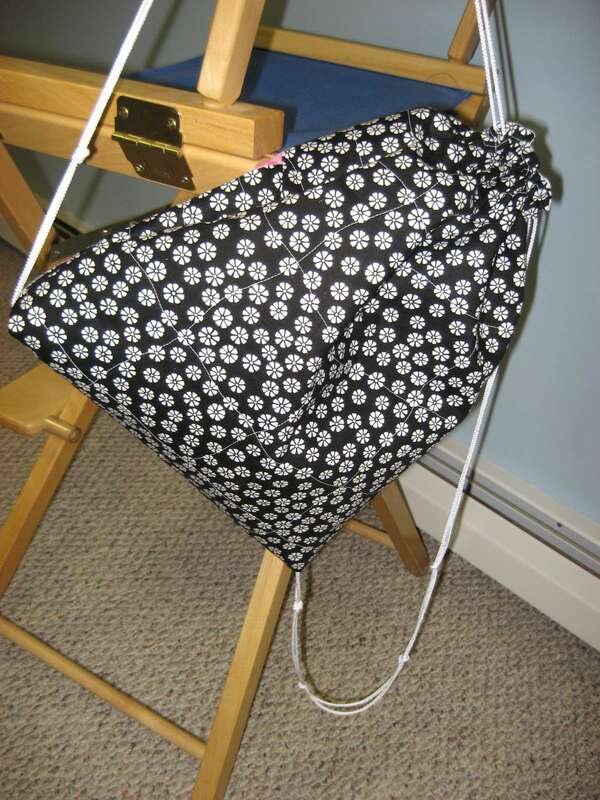 Stay tuned for my plea for your vote in RJR Fabric's bag contest, and at the same time a fun giveaway. I think you made good us e of the black and white block.the back is really cute. Now you know I would love that!!! super cute!